"That part of my life is over. That has been a tough thing to deal with but I'm good, which has taken a long time [for me to accept] ... I could have kept playing. But man, that time has passed. I've made the decision not to pursue it anymore." 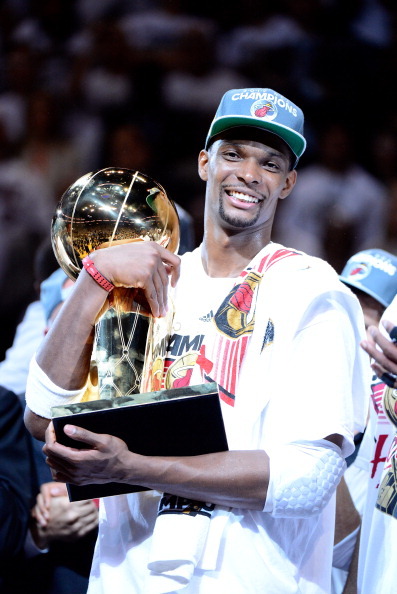 The Miami Heat will raise Bosh's #1 jersey into the rafters at American Airlines Arena during a special ceremony at halftime on March 26, making him the fourth player in Heat history to have their jersey retired. That list already includes Tim Hardaway, Alonzo Mourning and Shaquille O'Neal, and will soon include Dwyane Wade.